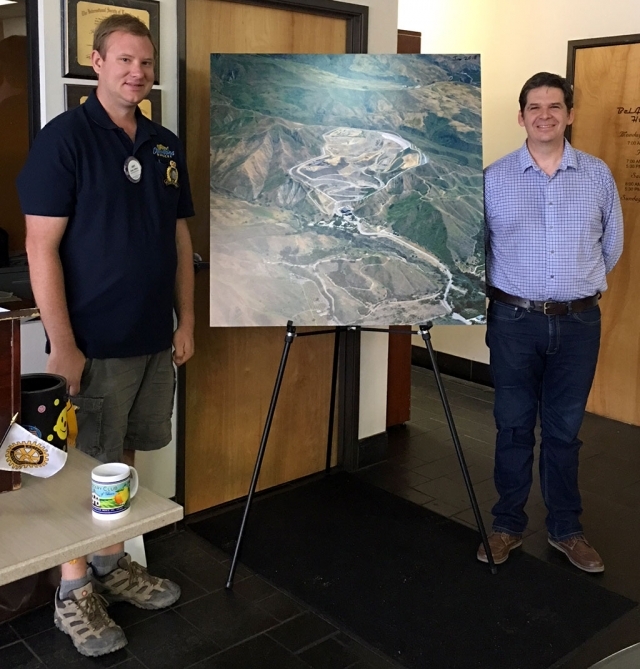 Fillmore Rotary President Andy Klittich (left) with Matt Baumgardner from Toland Landfill, who reviewed a map of the site that opened back in the 90’s, and shared about the overall operation of the landfill. After the Thomas Fire debris from homes etc. they hauled there around the clock. The landfill returned to normal operation in June. Tours are available anytime. Photo courtesy Martha Richardson. 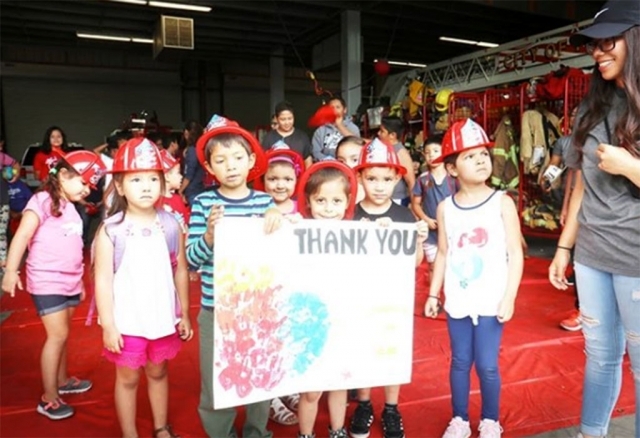 Fillmore Fire Station 91 would like to thank the special visitors from Full Circle Learning in Piru who came out to the station and presented the crew with thank you signs and gifts made by the students, thanking the firefighters for all they do in the community. Photos courtesy Fillmore Fire Department. Lost Dog. Have you seen Winnie? Name: Winnie. 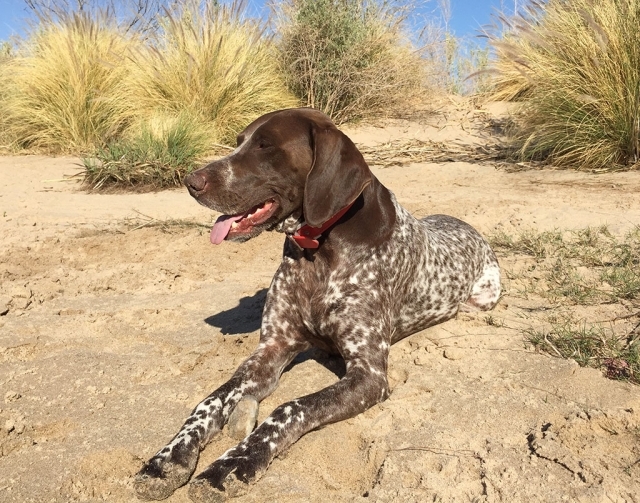 Last seen the morning of July 10th near Woodgrove Road and 4th Street. If you've seen Winnie, please email tonyzermeno@yahoo.com. Thank you! 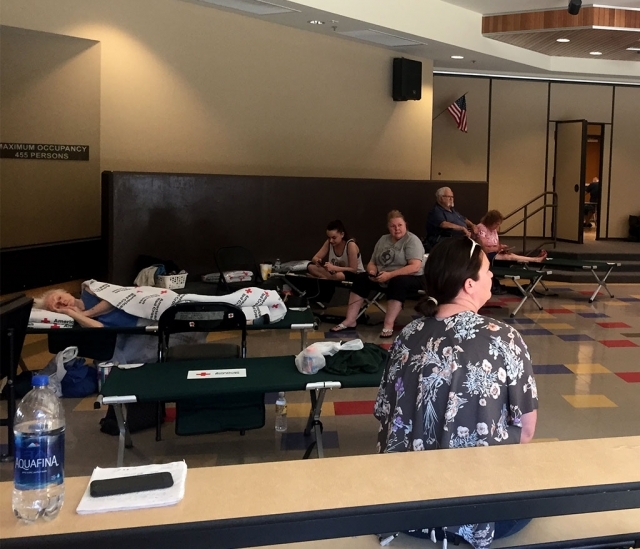 On Saturday, July 7th the Fillmore Fire Department got together with City officials and The Red Cross to coordinate a cooling center at Rio Vista Elementary as well as free transportation for the residents of El Dorado to the site during the power outage. 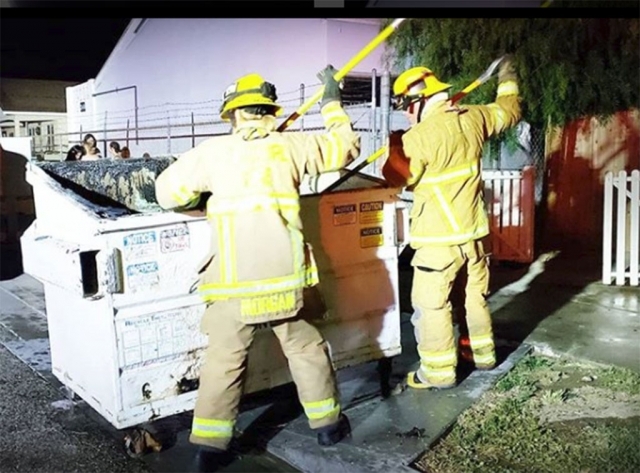 On Sunday, July 1st in the 300 block of Fillmore Street at approximately 10pm Engine 91 responded to calls about a dumpster fire. Cause of the fire is unknown. Photo courtesy Fillmore Fire. Back Stacks Books sponsored by the Friends of the Blanchard Community Library in Santa Paula will have the 1st Saturday book sale July 7, 2018 from 10 AM to 2 PM, featuring 1,000’s of used books from 50 cents to $2, as well as collectible books from $4 and up. “Celebrate Americana”. All Books about American history, politics or the American experience – 50% off! 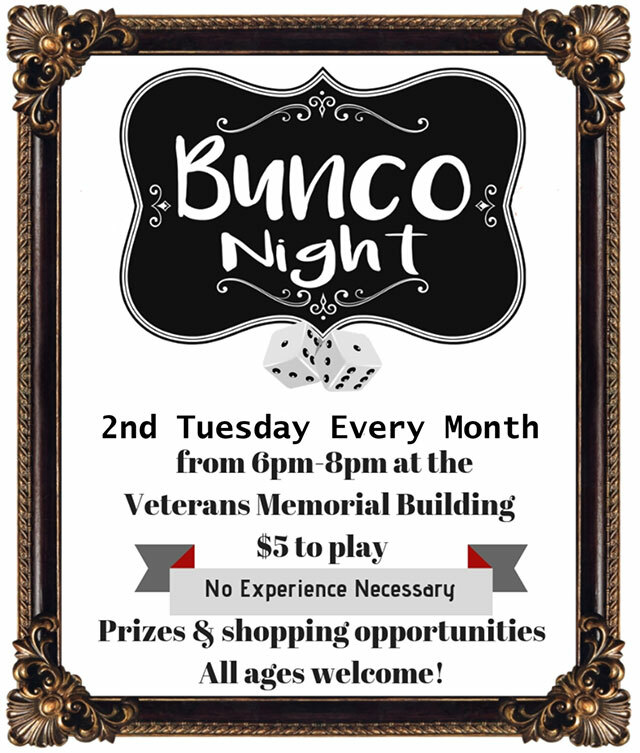 Located at 119 North 8th Street, Santa Paula, enter via the north parking lot, thru the roll-up door in the back. Normal weekday hours also continue: Wed. 12-4, Thu. & Fri. 12-2. 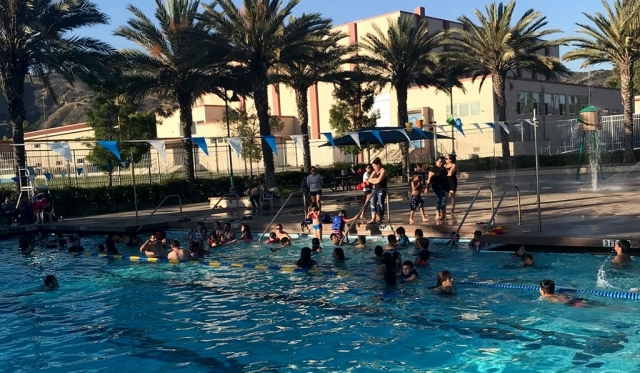 Fillmore’s Community Pool Friday Family Swim Night is a great time for the family to enjoy a fun time together. Photo courtesy Katrionna Furness. 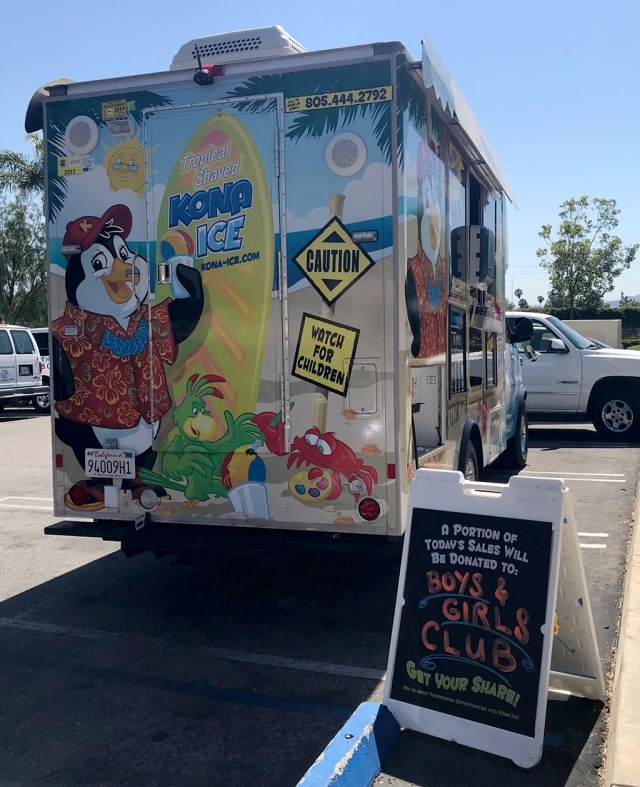 The Kona Ice truck was parked outside the Fillmore Community Pool Tuesday afternoon. The company donated a portion of their sales to the Boys & Girls Club. They also announced that they will be coming back for Rec Swim held Saturdays 9:45pm – 3:15pm and Family Night, Fridays at 6pm – 8pm. Photo courtesy Katrionna Furness. 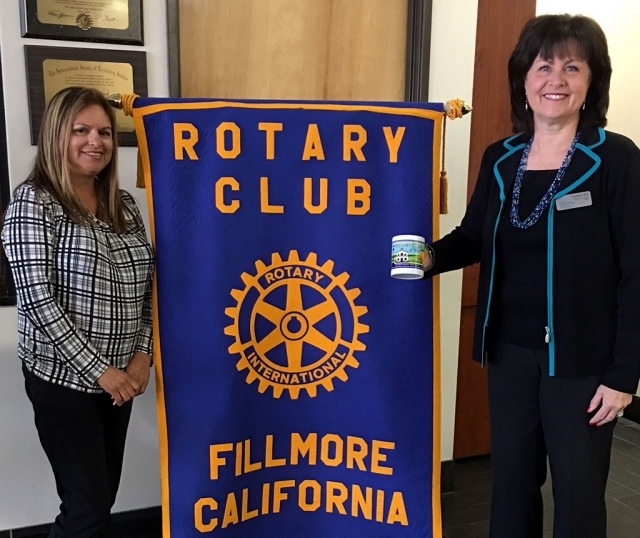 Club President Dave Wareham presented a Rotary mug to fellow Rotarian Theresa Robledo who gave a Kraft talk about her family, education, and former jobs as Legal Secretary, Paralegal and Freelance Paralegal. After she and her husband Henry started Diamond Realty they knew they wanted to give back to the community, especially the youth. 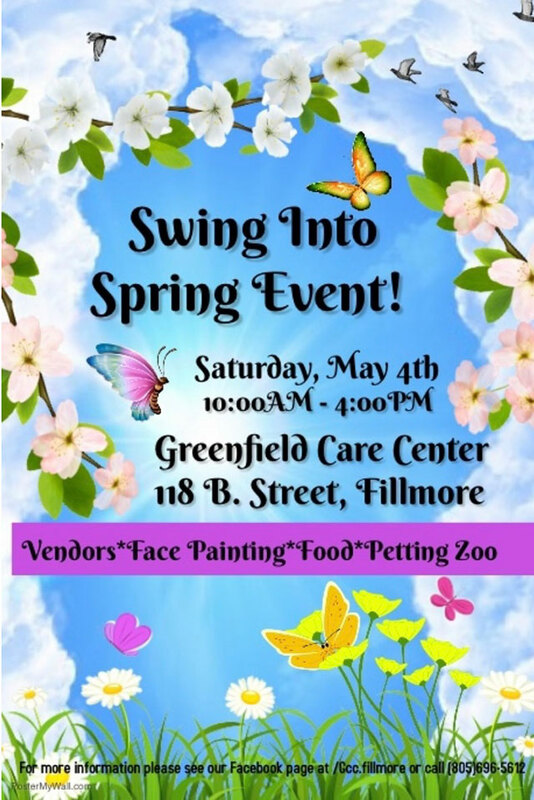 They hosted a gallery of art from Boys & Girls Club, a Youth Chalk Art contest this past May and have posted congratulations signs for the CIF Champions and much more. Photo courtesy Martha Richardson. On June 6th the Fillmore Christian Academy held their 25th graduation. Pictured above is the FCA Graduating Class of 2018. Photo courtesy Martha Richardson. Fillmore Christian Academy celebrated their 25th graduation on June 6, 2018. The students sang two songs "Fruit of The Spirit" and "Whom Shall I Fear?" Under the Direction of Administrator, Tracy Hackney. The presentation of the Academic Awards and Christian Character Awards were given by Board Members Heather Swetman and Martha Richardson. The Promotion Certificates were presented by the teachers Mrs. Debbie Morgan Kindergarten, Mrs. Jeanette Myers First grade, Mrs. Pattie Kinkade Second/Third, and Mrs. Loni Larson Fourth/Fifth. Two fifth grade students graduated from FCA, where they had attended since Kindergarten, Brenna Larson and Justin Tuttle. This Summer FCA will be busy with a fireworks booth at Carl's Jr. The goal is to make enough money to prepare the new school site. The school will begin its 26th year at the current location, on the corner of First and Central and hopefully be moving to the new site during Christmas break. If you are interested in registering your children in grades K-5 the phone number is 805-524-1572. 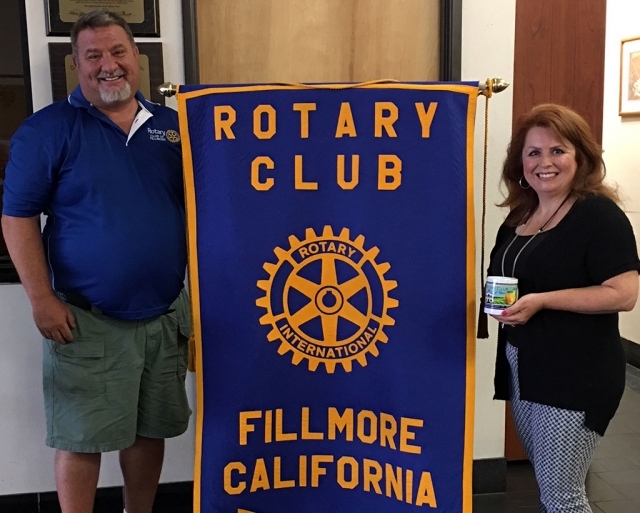 The Fillmore Lions Club continues to grow, adding new member Ray Huff this past month. 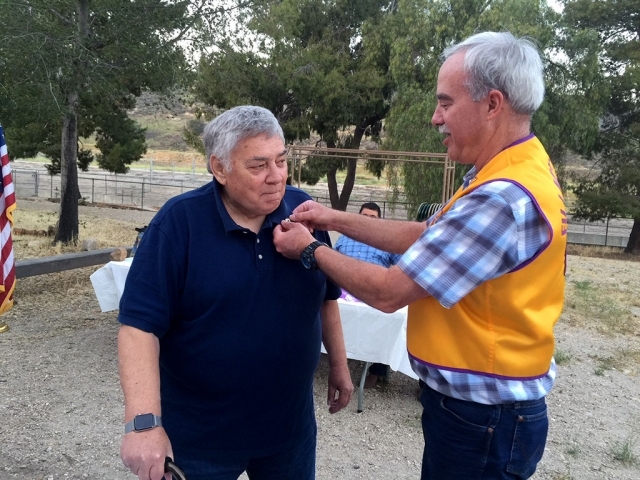 Huff (left) receiving his Lion’s Club pin from his Sponsor, Brett Chandler at the recent club installation dinner. Photo courtesy Brian Wilson. (l-r) Rotary President Nominee Ari Larson and Presenter Colleen Kill talking about Dining for Women-Changing The World One Dinner At A Time. Women all over the US meet for a meal or high tea in individual homes and learn about grassroots projects in developing countries to aid women and girls. 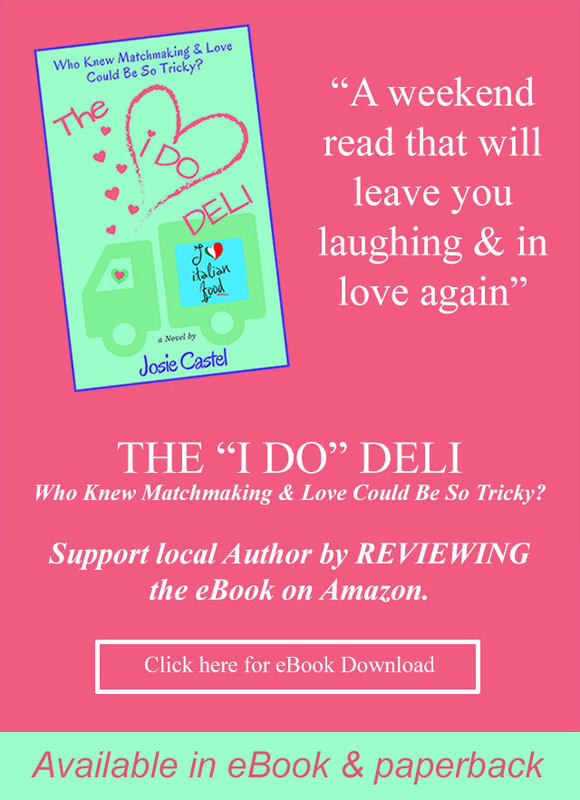 When these women meet they donate money such as the price of a meal if they were dining out. Their organization then joins with a project to educate, give prenatal care, teach entrepreneurial skills for income, etc. Several women have visited these countries to see how the projects are empowering the women and girls. Photo courtesy Martha Richardson. Fillmore High School graduating senior, Maria Mejia (center), is the recipient of this year’s Rosie Torres Scholarship for Future Teachers. Irma Torres (left) and Rosie Torres (right) recently presented the award at an on-campus ceremony. Mejia is the fifth recipient of this annual award. Photo courtesy Michael Torres. Maria Mejia, a Fillmore High School graduate, was named the 2018 recipient of the Rosie Torres Scholarship for Future Teachers. 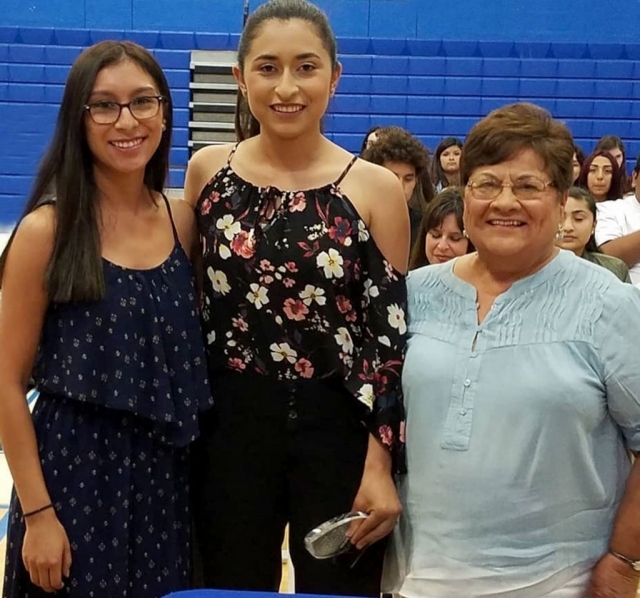 Members of the Torres family were on hand to present the $1,000 scholarship award at a May 30 senior award ceremony held on campus. The Rosie Torres Scholarship For Future Teachers was established five years ago to provide college financial assistance to Fillmore High School graduating seniors with plans to pursue a career in early childhood education, elementary education or secondary education. 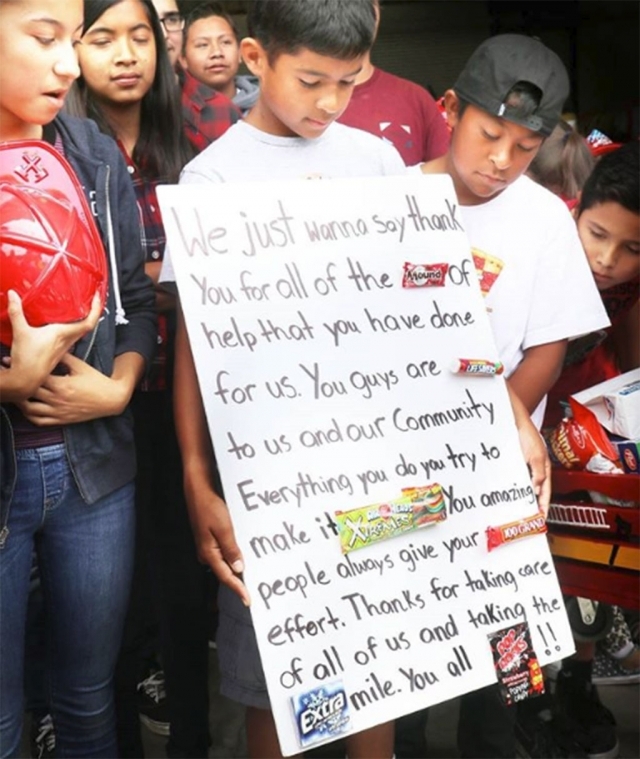 Rosie Torres devoted nearly 30 years to teaching in Fillmore Unified School District and touched the lives of hundreds of students throughout her career as an educator and community volunteer. Along with her family, she established the scholarship program to inspire the next generation of teachers and invest in Fillmore High School students who are committed to improving the lives of children. Awards are determined based on academic performance, teacher recommendations and a written essay. Mejia’s future plans are to attend California State University, Channel Islands to pursue a teaching credential, with the goal of becoming an elementary school teacher. 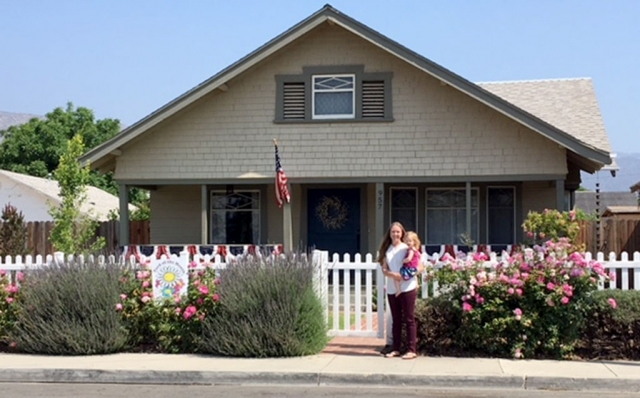 Fillmore Civic Pride announced June 2018 Yard of the Month winners Pam and Dori Klittich who received a $40 gift certificate to Otto & Sons Nursery. Photo courtesy Ari Larson. 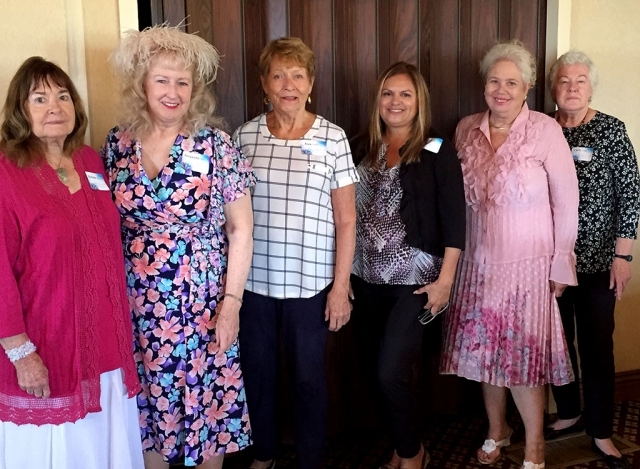 Pictured above is the Ventura County Garden Club new officers for the 2018-2019 year, which were welcomed at their Installation luncheon held June 6th at Saticoy Country Club in Somis. Photo courtesy Jacqualin Starr. The Ventura County Garden Club has elected a new slate of officers for their 2018 - 2019 meeting year. The new officers were welcomed at an installation luncheon held at the Saticoy Country Club in Somis, on Wednesday, June 6th (2018). They are: Vice-President - Marlene Wait, Secretary - Jacqualin Starr, Treasurer - Jean Coyne, Fillmore Director - Ari Larson, Santa Paula Director - Carol Beckerdite, Ventura Area Director - Christine Cade, The outgoing President, Lora Clarke, was presented with an appreciation gift for serving two years on the Board. During the luncheon, the Club also presented its annual Beautification Project Award. This year, Santa Paula was the designated area. The Board selected Santa Clara Valley Hospice as this year’s recipient, from among many worthy projects. Martha Navarette received the cash donation on behalf of the Hospice. She said it would be used to help purchase a garden fountain surrounded by flowers, and placed near the Hospice office. The Club will not be meeting during July and August. 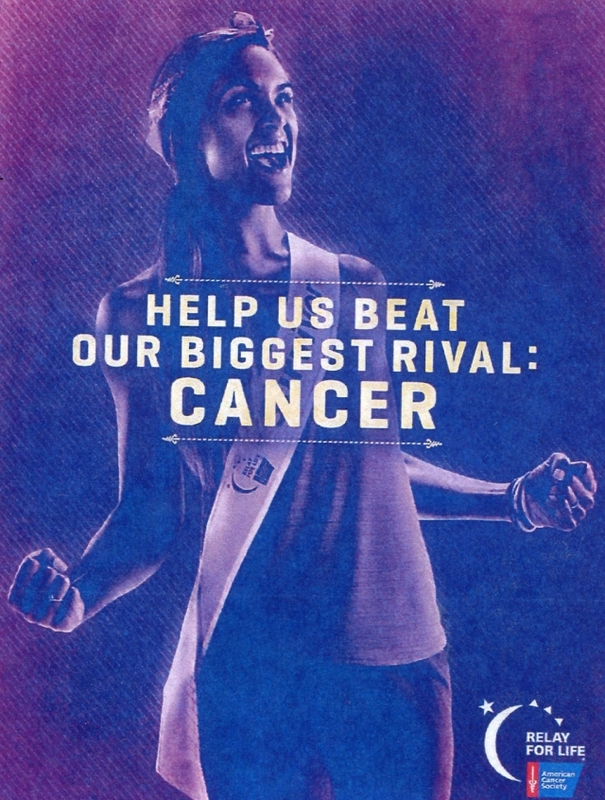 If you have any questions you may contact Jacqualin at starrjacqualin@yahoo.com or (805) 816-6019. Have a beautiful summer! 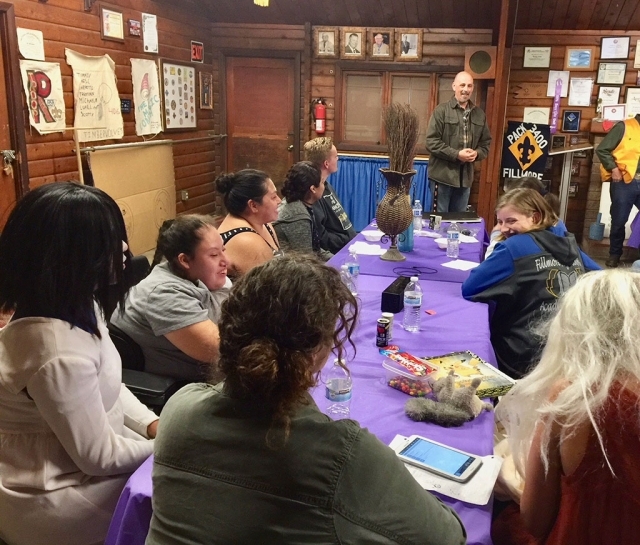 The Fillmore High School Drama Club put on a performance for the Fillmore Lions Club recently. Club members, under the direction of teacher Josh Overton (pictured in the rear), Performed television commercials they had also written as a pat of their class work. They came to the Lions meeting to perform as a way of thanking the cub for its donation. In attendance besides Overton were students: Hannah Fairly, Karina Perez, Adrianna Chaveste, Erin Overton Esquire, Vianey Perez, Clark Helm and Mariam Bazurto. On Wednesday, May 30th the Fillmore-Piru Citrus Association held a ribbon cutting ceremony to celebrate the new addition to their avocado packing line on Main Street in Piru. Pictured l-r are Bob Lucy, President and General Manager Brett Kirk Patrick, County Supervisor Kelly Long, Chairman of the Board Matthew Freeman and Andy Bruno. On Wednesday, May 30th, 2018 at 12:00 pm. 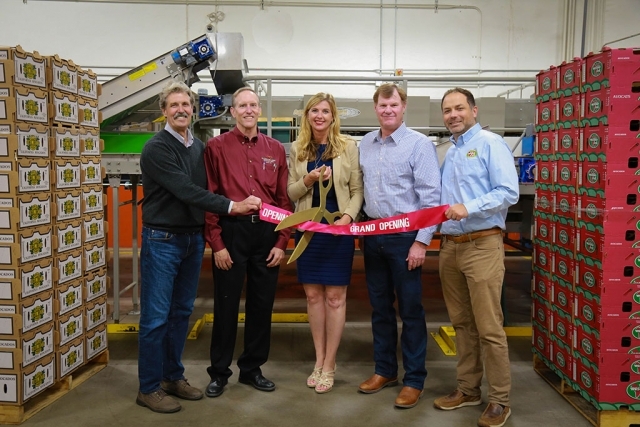 Fillmore-Piru Citrus Association held a ribbon cutting ceremony to celebrate the addition of an avocado packing line to their citrus packing operation at 357 N. Main Street in Piru, California. County Supervisor Kelly Long joined members of the Board of Directors and management at this event. Also attending were representatives from Del Rey Avocado and Westfalia Fruit Americas. “This avocado packing line is the culmination of a vision that began several years ago. It originated as a plan to both pack and market avocados. After conferring with experts regarding the California avocado industry, it was determined that marketing avocados would be better left to existing established marketers. We feel very fortunate to have found two excellent marketers who were in need of avocado packing capacity in Ventura County. Both Del Rey Avocado and Westfalia Fruit Americas have indicated they intend to pack avocados at Fillmore-Piru for the foreseeable future." “The addition of the avocado packing line is the first step in a process that will enable us to relocate our current lemon packing operation and modernize our orange packing line. We would like to thank Supervisor Long and her staff for their assistance in working with the County of Ventura on this project. 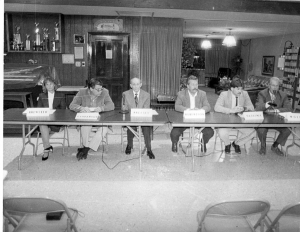 Fillmore-Piru Citrus Association can trace their roots in the community back more than one hundred years. I am honored to be fortunate enough to be part of the management team as we position the company for the next hundred years." 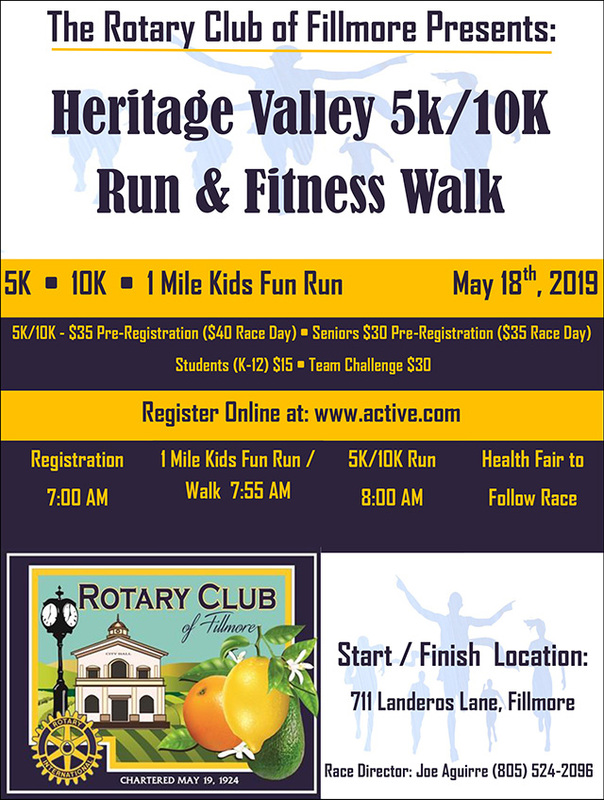 The Rotary Club of Fillmore presented two scholarships to local students from Sierra High School and Heritage Valley Independent School. L-R Adrian Palazuelos, Rotarian and Superintendent, Kayln Rodriquez of Sierra High School, Kim McMullen, Sierra Counselor, Faith Bustos of Heritage Valley Independent School, Scott Beylik, Rotarian and Scholarship Chair, Pablo Leanos, Principal of Sierra High School. Photo courtesy Martha Richardson. 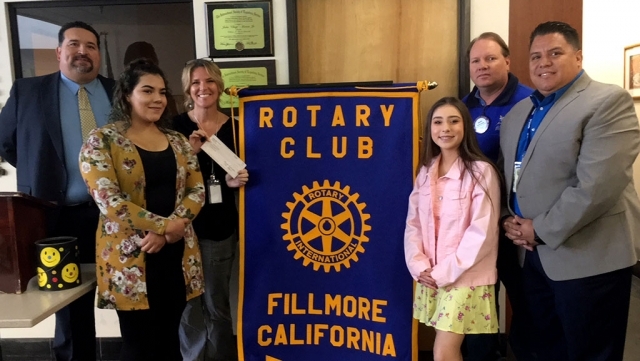 Fillmore Rotary Club awarded $11,800 to 2018 Fillmore High School scholarship recipients. Each student excelled in academics as well as extracurricular activities. Besides a Rotary Scholarship Raquel Guiza also received the Rigo Landeros Service “Above Self Scholarship” for exemplifying the qualities he represented. 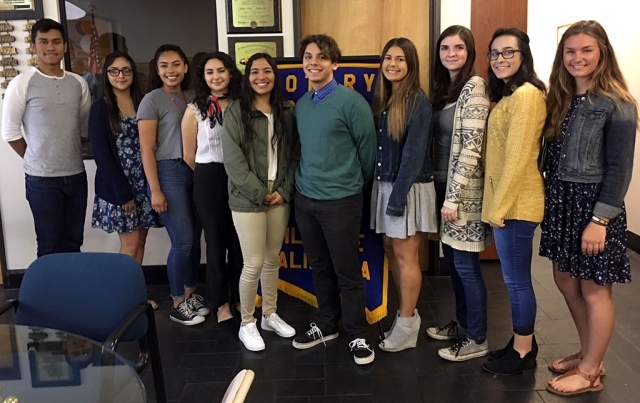 L-R are the Fillmore students who were awarded scholarships this year: Lorenzo Palomera, Raquel Guiza, Veronica Garcia, Paulina Guerrero, Maria Ruvalcaba, Ian Morris, Cali Wyand, Mishell Beylik, Alexia Rangel, and Moorpark HS student Kayla Reiman. Photo courtesy Martha Richardson.